For an Energy-Hit, our range of lifestyle drinks are a go-to choice. 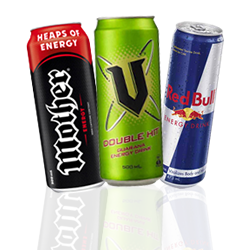 From “V” Energy to Monster to Redbull, we stock all of the popular brands (and sometimes new labels just about to hit the market). Our lifestyle drink vending machines are energy efficient and also gentle on their fizzy contents. If there is a brand or product you just LOVE, let us know! We are always on the lookout for new and quality products to stock in our vending machines.